5. Capture 100% of YouTube videos even in free demo mode! * It's Easy: Just click "Start Recording", then play your media, and an exact digital copy is downloaded to your hard disk. * It's Powerful: ReplayMedia Catcher supports more streaming protocols than any other stream downloading software. * It's Convenient: ReplayMedia automatically names and tags your video and MP3 files. No more cryptic file names. 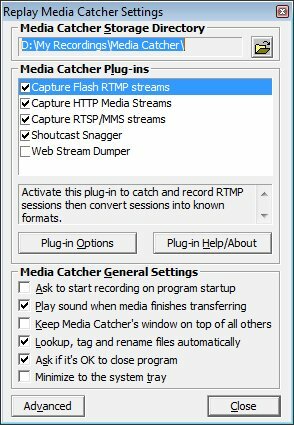 This is the main window of Replay Media Catcher where you will be able to view all the grabbed Flash videos. * Enjoy a Free Trial! * Be safe: No Spyware. No Viruses. 100% Guaranteed. The Settings window is the place where you will be able to specify the storage directory and select the plugins. 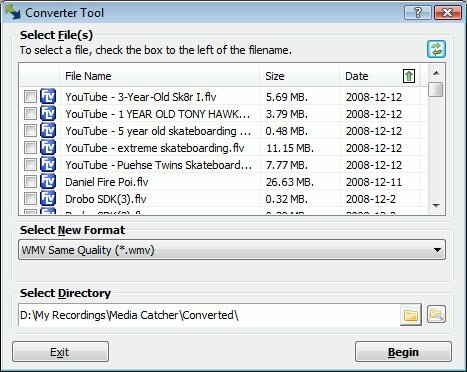 ReplayMedia Catcher can download media from Flash Video, Windows Media and Wowza servers, including any site that uses the HTTP, MMS, RTSP, and RTMP protocols. ReplayMedia does not support Adobe Secure RTMP Measures. * Runs on any PC with Windows 2000, XP, Server 2003 or Vista. * Real Player is required to convert from Real formats. All Applian recording products are designed for the Microsoft Windows operating system.